VATICAN CITY - The Vatican is no stranger to drama, intrigue or scandal. But even by Vatican standards, this has been one hell of a month. Ever since Pope Francis returned from his triumphant visit to the United States, nearly every day has brought surreal revelations of bishops behaving badly, cardinals resisting reform and ideological battles over everything from the theology of marriage to the Vatican’s cigarette sales. Francis’ crazy month began with a monsignor from the Vatican’s doctrine office outing himself as gay (boyfriend by his side) and denouncing the “hypocrisy” of the church’s doctrine on homosexuality the day before Francis opened his big bishop meeting on family life. The soap opera continued with a report (denied) midway through the meeting that the pope had a brain tumor. And to top it all off, a high-ranking Vatican monsignor (from the conservative Catholic movement Opus Dei, no less) is now sitting in a Vatican jail cell, accused of leaking confidential information to the same Italian journalist whose 2012 expose of Vatican waste and wrongdoing helped bring down Pope Benedict XVI. 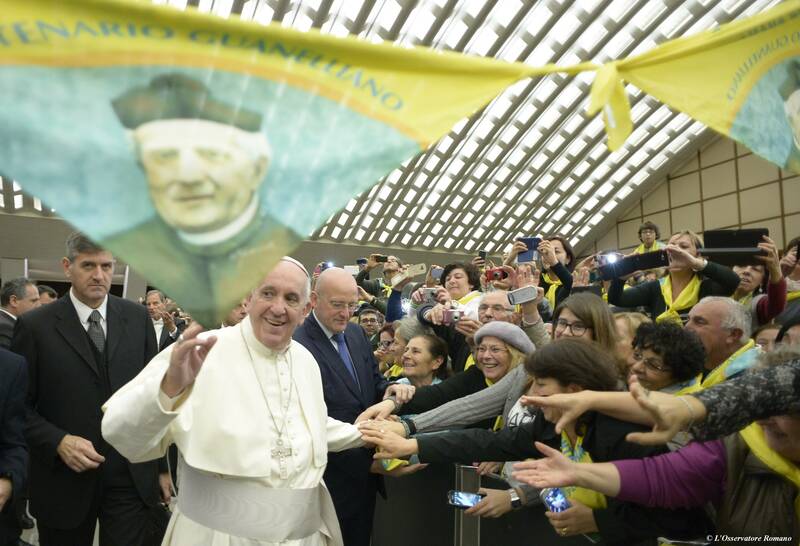 Hollywood couldn’t make this stuff up — and yet Francis seems to be taking it all in stride. On Tuesday, the pope sat with a few dozen people at a Florence soup kitchen, tucking into a bowl of Tuscan ribollita bean soup as if there were no place he’d rather be. That may well have been the case, given the intrigue swirling back home and the trip he has planned in two weeks to Kenya, Uganda and the conflict-torn Central African Republic. As if the domestic drama weren’t enough, even the trip now seems in doubt: French news reports say French soldiers working to keep the peace in the Central African Republic won’t be providing any extra protection for the pope, and the U.N. said this week it was in talks with the Vatican about the pope’s security amid a surge in violence that forced elections to be delayed and prompted Francis himself to recently say he still hopes he can go. 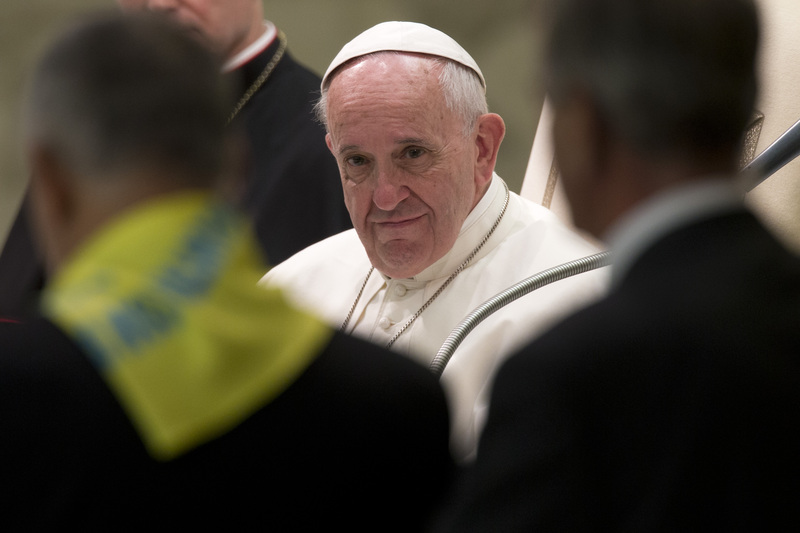 Despite the tumult, Francis has remained remarkably steady and determined, issuing an important mission statement this week outlining his vision of a church that shuns power, prestige and money in favor of solidarity with the poor and oppressed. Perhaps he knew that Italian prosecutors were just about to announce that the former abbot of the famed Montecassino monastery was under investigation for allegedly pocketing some €500,000 ($500,000), some of it public money destined for charity, to fund five-star hotel stays and dinners of oysters and champagne. Massimo Faggioli, an Italian church historian joining the Villanova University’s theology department next year, said much of the headline-grabbing news of the past month can be chalked up to Francis’ radical agenda, the opposition it has found in some conservative circles of the church and the politicized nature of Italian journalism. Take, for example, the Oct. 21 report that Francis was suffering from a small, benign brain tumor. A niche news outlet long associated with Italian conservatives reported that the 78-year-old pope, known for his progressive social justice bent, had been examined by a Japanese brain cancer specialist who determined that the small dark spot on Francis’ brain was a tumor that could be treated without surgery. Faggioli recalled that during the Second Vatican Council, when Vatican conservatives sought to tamp down the radical agendas of John XXIII and later Paul VI, there were reports in the Italian media casting doubt upon papal orthodoxy in a clear attempt by conservatives to undermine the reformers. 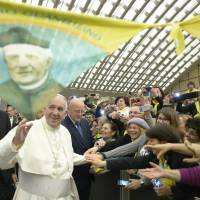 The rumors about Francis’ health have been seen in the same light. The document leaks, by contrast, appear to only have strengthened Francis’ hand by exposing the rot in the Vatican that he is trying to root out and the resistance he is facing by doing so. They also expose the internal power struggles going on as cardinals fight to hold onto turf and influence. Journalists Gianluigi Nuzzi and Emiliano Fittipaldi, now under Vatican investigation, got hold of internal documents revealing millions of euros in lost potential rental income from the Vatican’s vast real estate holdings; millions in missing inventory from the Vatican’s tax-free stores (where cigarettes were being sold); exorbitant costs charged for making saints; and the greed of monsignors and cardinals lusting after huge apartments. 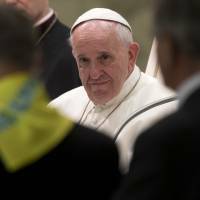 The Vatican, which previously had refused to comment on the contents of leaked documents, has this time sought to use the revelations to Francis’ advantage by stressing that he himself commissioned the information as part of his reform efforts.